Goals from Juan Mata, Wayne Rooney and Zlatan Ibrahimovic earned Manchester United an emphatic opening weekend win as Jose Mourinho ushered in a new era with three points. 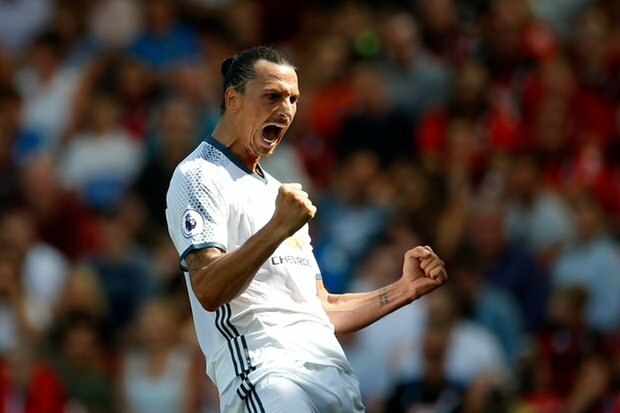 In the Special One's first Premier League match as Red Devils' boss, Zlatan Ibrahimovic was looking to announce himself on the most competitive stage in world football - the English top flight. Eric Bailly started in defence with Daley Blind with Henrikh Mkhitaryan starting the game on the bench and record signing Paul Pogba not travelling due to a suspension. The 20 time champions were poised, ready to shake off the "boring" tag that taunted them so much last season. Instead, the first half hour of the match remained tight and scrappy, as the hosts built up a resilient resistance to the inevitable onslaught. 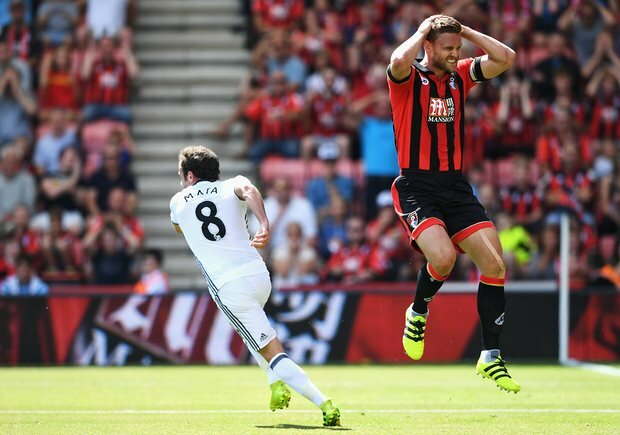 Juan Mata teed up skipper Rooney inside the danger zone with a square pass but the 30-year-old's shot lacked the power and accuracy to test goalkeeper Artur Boruc. Five minutes before the interval, a catastrophic backpass from Simon Francis gifted possession to Juan Mata, and the Spaniard's instinct and pressing was rewarded with an eventual tap-in with a gaping goal. It wasn't pretty, but Mourinho's regime was well and truly under way. Referee Andre Marriner waved away protests for a penalty from the United players after Rooney went down in a heap after minimal contact from Andrew Surman. However, the skipper duly accepted a simple finish from Antonio Valencia's cross moments later after Martial had scuffed his effort. Bournemouth's early pressing game started to catch up with them, as Martial jinked his way through before drawing a smart foul from Surman. Zlatan then proceeded to remind everyone watching what he is capable of. After struggling to get a touch inside the penalty box for the majority of the match, the Swedish superstar let fly from 25 yards, leaving Boruc with no chance as the ball nestled into the back of the net. Game over. 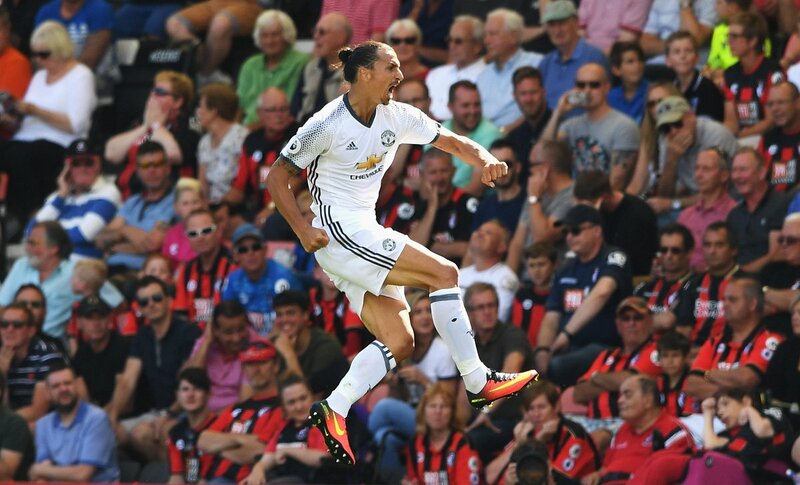 Ibrahimovic then took over again, testing the waters with a speculative effort before the Cherries fought back with a superb goal of their own. Substitute Lewis Grabban played a neat no-look pass to Adam Smith, and the midfielder rifled home to give the home fans something to cheer about. The Vitality Stadium was rocking once again, just as it had been for the opening stages, and the players looked determined to make a game of it with little over 15 minutes remaining. Mourinho threw on Mkhitaryan for his first taste of the Premier League as Fellaini began to police the defence and help United see out the game with no hassle. It will be a result that instills hope in the red half of Manchester, particularly after City's unconvincing first outing under Pep Guardiola yesterday. United sit atop the Premier League table with one game down, but it's a long road to the crown yet for Mourinho and co.